Land art installations, usually set in faraway places, are a beautiful marriage of culture and nature. 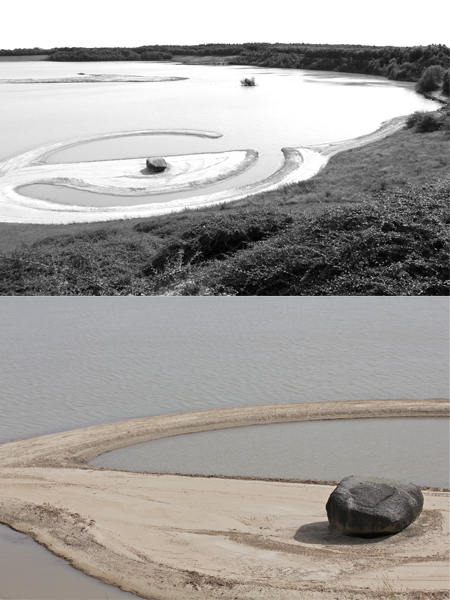 In 1971 Robert Smithson, one of the first land art artists, produced his Broken Circle / Spiral Hill, a broken circle around a megalith boulder, in Drenthe, the Netherlands. The stone, tumbled upon when making the installation, more than 40 years ago, didn’t want to move an inch. This heavy mass of primal rock, takes up, till today the center stage of the art work. The boulder with the broken circle around it links the ice age to the new age: a power place that might very well recharge your physical battery on one of those days.